The common entrance examination for designing (CEED) is a nationwide entrance examination conducted by the prestigious institution Indian Institute of Technology, Bombay. The examination requires good solid preparation and can be prepared with available resources and an existing creative aptitude for designing and logical reasoning. The study material is available online as well. If interested to joining the coaching institutes for the preparation of the CEED exam, there are many coaching institutes providing their students with excellent study tips and material. The CEED exam preparation has exclusive websites and online study material for the aspirant to go thoroughly and prepare well ahead of the examination. As such, there is no prescribed book by the IIT Bombay. The study material for the examination has to be obtained from the experience of candidates and students who are already pursuing their M.Des in the recognised institutions such as IIT Bombay, IISC Bangalore, IIT Delhi and so on. 1. The sources for the study material can be obtained from the websites available exclusive for the CEED. 2. The online classes which are provided to cover the CEED syllabus from the exam point of view, also provide the study material which have detailed explanations and answers. 3. The CEED exam preparatory advanced course study material is available for a price affordable by the candidates which consist of the booklets, interactive doubt clearing sessions, mock-tests, creative ability and design aptitude modules, general ability and communication skills. 4. 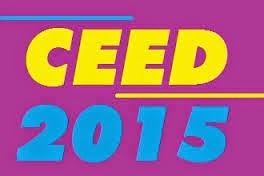 The CEED examination previous year advanced course study material is a good source of material for the examination. 5. The most important study material for the CEED examination is the one which contains the previous year’s answers for the question papers. Even few sets of previous year question papers are enough for the candidates to prepare and get an idea of what exactly the test is like. 6. The candidates are asked to get the help of their seniors from the institutes through online forums and known acquaintances to understand the various design strategies, drawing skills, creative aptitude and visual perception ability. The syllabus to be covered for the study material and the preparation can be obtained from the official website of the CEED or IIT Bombay. Some of the study material offered online consists of the syllabus given below. CEED syllabus covered in the advance package of the study materials is given below. 4. Ability to comprehend a given passage in English and summarize it. Kindly post your replay for "CEED study material"